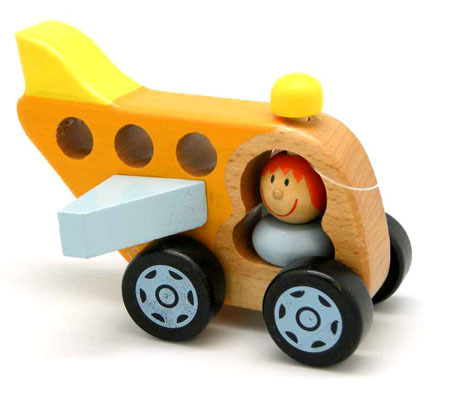 Wooden Toy Pushing Plane is a sweet little aeroplane with four sturdy wheels. This plane has a pilot and a lovely smooth wooden body with a splash of orange and yellow paint. This is a well made solid toy and leaves plenty of room for imaginary play as you take off and zoom around the room. We like this because: "Adds another dimension to car and truck play. "